Metropolitan Council is reviewing and updating Census Tracts and Block Groups to be used by US Census Bureau during 2020-2029. The Census Bureau runs numerous data collections. It publishes statistics for all sorts of geographic areas. There are Census and American Community Survey statistics for: states, metro areas, counties, American Indian Reservations, school districts, legislative districts, ZIP codes, cities and townships. The most detailed local geographies available from the Census Bureau are sub-county and sub-city areas called Census Tracts and Block Groups. Are there sub-county or sub-city service areas, districts, or zones for which you need Census statistics? Interested stakeholders can provide input on 2020 Tracts and Block Groups, now through the end of April. For the Twin Cities 7-county area, Metropolitan Council has prepared a preliminary set of new boundaries, viewable online at metrocouncil.org/census2020. The preliminary redrawing of Tracts and Block Groups is consistent with Census Bureau’s requirements, and informed by recent estimates of population and housing. In the Twin Cities 7-county area, send questions, comments, and requests concerning Census Tracts and Block Groups to: Paul Hanson at Metropolitan Council, paul.hanson@metc.state.mn.us, phone 651-602-1642. Comments and requests should be submitted by April 30, 2019. In other counties or states, other planning agencies and county governments are coordinating the review and update. Please share this with interested stakeholders: Interested stakeholders could be planners, analysts, or anyone who uses localized Census statistics for specific small areas. 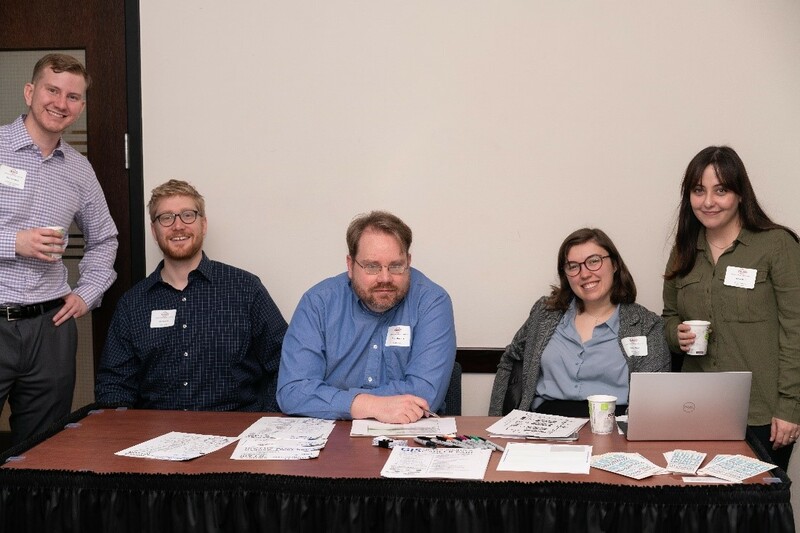 The GIS Student Organization at the University of Minnesota is very grateful for the support of MN GIS/LIS in our 18th Annual GIS Networking and Career Fair event. This event seeks to bring together students interested in a career in geospatial technologies with local GIS industries and organizations. We had over 100 participants representing a wide range of academic departments and schools. We also had attendees from multiple nearby universities and over 20 representatives from local GIS industries and organizations. The fair offered an opportunity to connect with potential employers, resume reviews by participant vendors, a student poster competition, and provided free professional headshot photographs. The event also featured three guest speakers: Sam Klimoski, GIS Coordinator in Technology and Communications at the City of St. Paul; Eric Shook, Assistant Professor in the Department of Geography, Environment, and Society at the U of M-Twin Cities; and Sharvari Sangle, GIS Developer at SRF Consulting Group and MGIS 2016 Alumni. 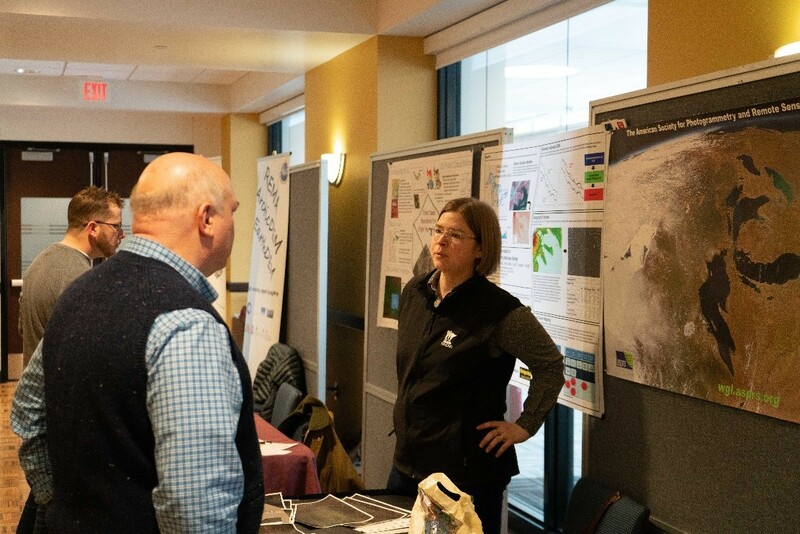 We were able to meet our goals with the energetic assistance of volunteers from GISSO and strong support from the MN GIS/LIS Consortium Event Grant, and our partner academic and professional organizations. More information about this event and the GIS Student Organization can be found at https://sites.google.com/a/umn.edu/gisso/fair. Registration for the MN GIS/LIS Consortium Spring Workshops is open. Register for a variety of hands on and lecture style workshops in Minneapolis, OR attend from a remote location in Duluth, Mankato, Moorhead or Winona. There are 12 workshops to choose from, including two python classes to advance your skills and a full day workshop on the basics of LiDAR. Four of the workshops will be broadcast from Minneapolis to the remote locations via iTV: ArcGIS Pro, Parcel Fabric, Geocoding, and ArcGIS Server. Workshops are $90 each per half day workshop and $180 for the full day workshop. Sign up today!